#214. Gateway Lincoln's Inn. 6 x 8, etching on heavy paper. 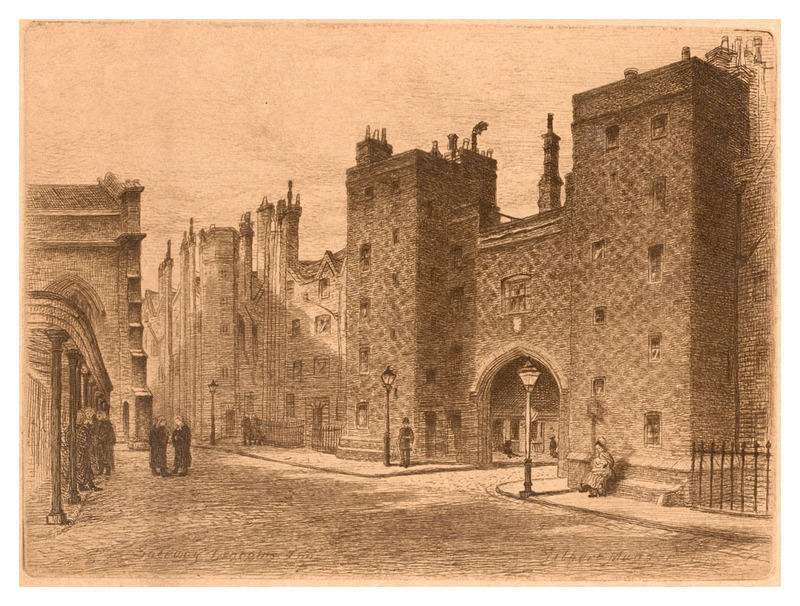 Included in the etching: lower left "Gateway Lincoln's Inn"; lower right "Gilbert Munger 1879". 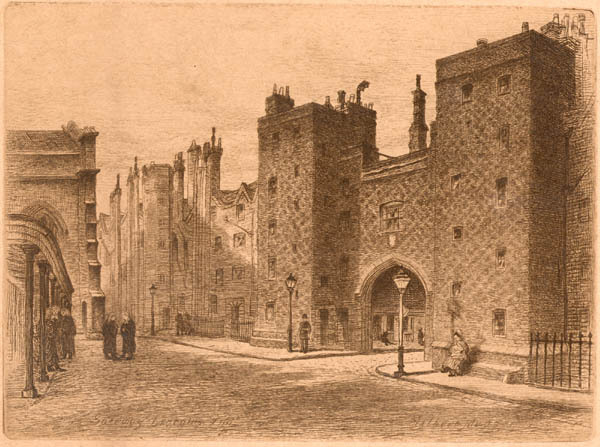 One of a group of six etching of London. See #213 for additional information. In the collection of the Harvard University Law Library since the first half of the 20th Century; Hollis No. 006828943. A second example was purchased at a South Windson CT antiques shop. Digital image provided by the Library.